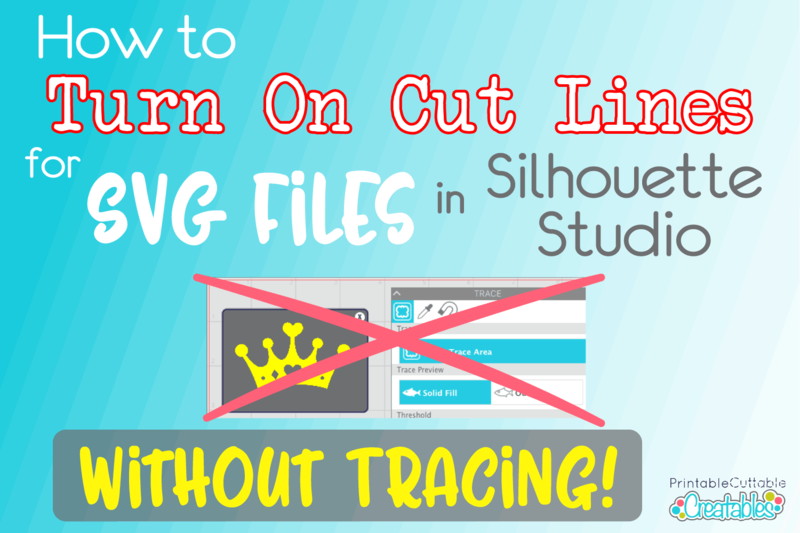 How to Turn on Cut Lines for SVG Files - Without Tracing! How to Turn on Cut Lines for SVG Files – Without Tracing! You DO NOT have to trace SVG Files. Ever. Designers like myself spend a lot of time creating SVG cut files specifically for cutting machines, so every time I see someone tracing an SVG, my heart breaks a little. You’re probably used to seeing cut lines (those red outlines) on designs from the Silhouette Design Store. 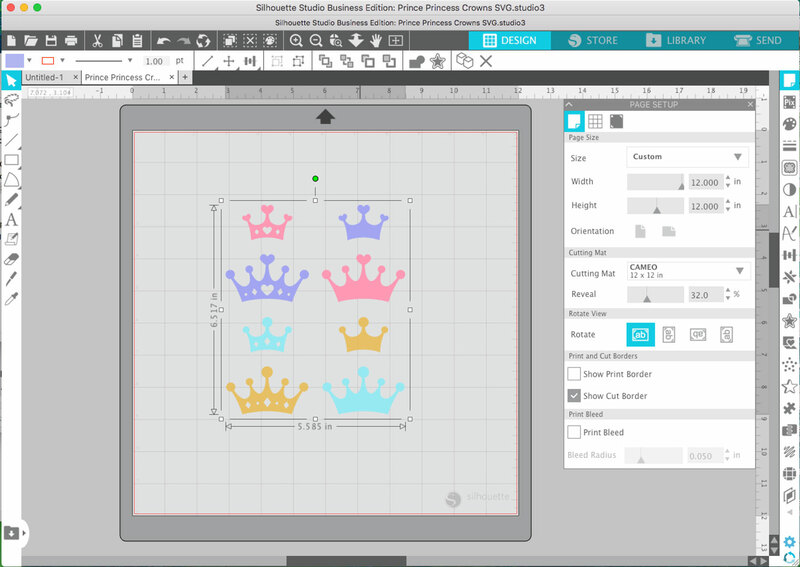 But when you open most SVG files in Silhouette Studio Designer Edition (or higher), the design will appear on your workspace with no red outlines. The SVG will also have all design elements grouped together by default, making it look similar to a PNG image, so I totally get why it can be confusing when you first start using SVGs…But resist the urge to trace! SVG Files (Scalable Vector Graphics) already have the cut lines included. When you open the SVG file in Silhouette Studio, it may not have the cut lines “turned on” by default, but they are there…you just need to turn them on! So How Do You Turn on Cut Lines in Silhouette Studio? To work with the design elements individually, you will need to right-click on the design and choose “Ungroup”. You may need to click Ungroup several times depending on how the design was created. Now you can make any changes to the design as needed for your project. When you are ready to cut, click the “Send” tab in the upper right corner. The Send panel will open, and this is where you will choose the type of material and settings for your particular project. This is also where you will turn on the cut lines. If your design has no red outlines and everything looks “greyed out” or ghosted, then when you click “Send” your machine will likely say “Job Complete” even though it hasn’t cut anything. That’s because the cut lines were off and your Silhouette wasn’t told what to cut. To turn on the cut lines, select the design in the workspace preview, then in the Cut area on the right, choose one of the cut options (either Cut, or Cut Edge, depending on your project). Now you will see the outlines of the design are highlighted in red- these are the lines where your machine is going to cut. That’s it! Adjust the cut settings for your material, load your cutting mat, and you’re ready to send the design to your Silhouette for cutting! UPDATE: If you have version 4.2.430 (currently still in Beta) or higher, SVG files will automatically have cut lines turned on by default when you click in the Send panel! At the time of this writing, this version is still in Beta so it’s not officially released or supported yet. But, it should definitely help relieve lots of confusion for users when it goes live! If you open a design in Silhouette Studio and turn on the cut lines, only to see a red box around the design, you’ve actually opened a PNG file, NOT an SVG file…once again, resist the urge to trace! 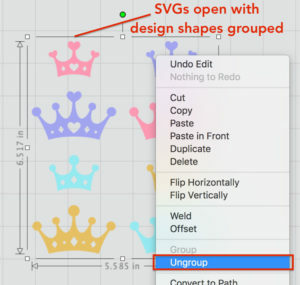 You upgraded to Designer Edition for a reason – to open SVG files! Head back to the download folder and locate the SVG file (it may sometimes look like a web browser icon (Internet Explorer, Chrome, Firefox, etc), but the File Type will say “SVG Document”. Now you can enjoy the ease of using SVG files, and remember…. 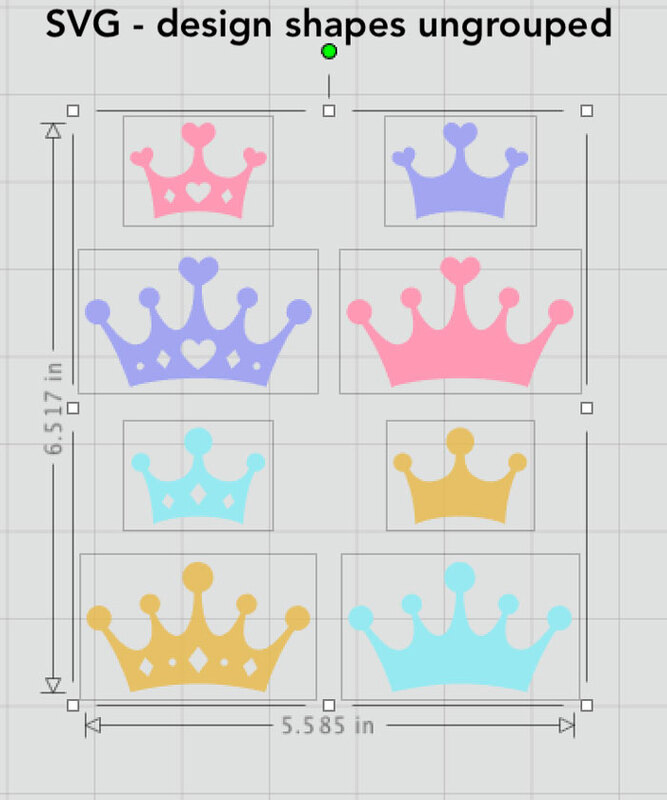 If you’re looking for SVGs to use with your Silhouette, take a look at my Creatables shop, which has a growing selection of cut file designs, including the FREE Prince & Princess Crowns SVG Files shown in this post. 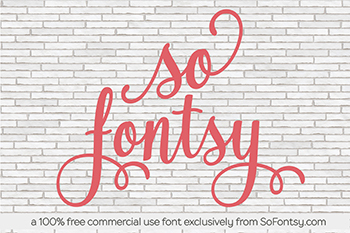 My Freebies section also has over 200 Free SVG Files to choose from!